When you are considering selling your home, you may think that you can handle it on your own without working with a real estate agent. Commonly called For Sale by Owner or FSBO. We have found there are five main reasons that we can help alleviate some unforeseen frustration. 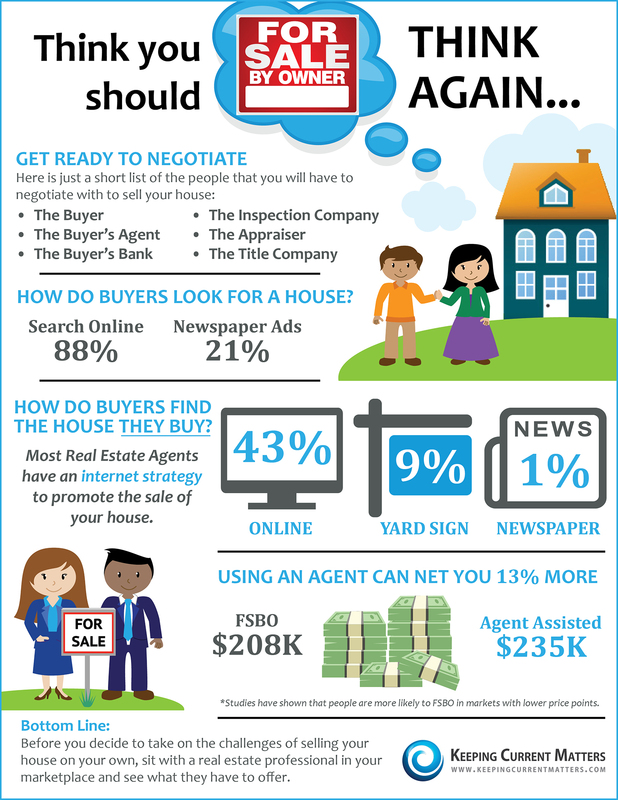 Research has shown that 92% of buyers search online for a home. There are hundreds on real estate based sites on the internet. We market our listed properties on nearly all of them. Where do buyers find the home they actually purchase? The days of selling your house by just putting it in the paper or a sign in your yard are long gone. We have a very strong internet marketing strategy to help you sell your home, as well as yard signs and print. The paperwork involved in selling and buying a home has increased dramatically as industry disclosures and regulations have become mandatory. Owners selling their own homes have dropped from 19% to 9% in last 20 years. Many homeowners believe they can save money by not paying commission. The catch is that the buyer believes that they will save money by not needing to consider commission. Truth is both buyer and seller cannot be winning, one of them must be getting the short end. Studies have shown that houses for sale by owner often sell for under market value. Working with a professional can help guide you to getting the fairest price for your property. Working with a Real Estate professional can help you get your property in front of more buyers, help negotiate offers so you don’t have to, and net you more money at the end of the sale. 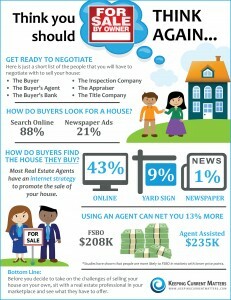 We have a strategy to get your home sold give us a call or email us for more information.